The hospital is nestled in 5 acres of gardens in a quiet forest valley. 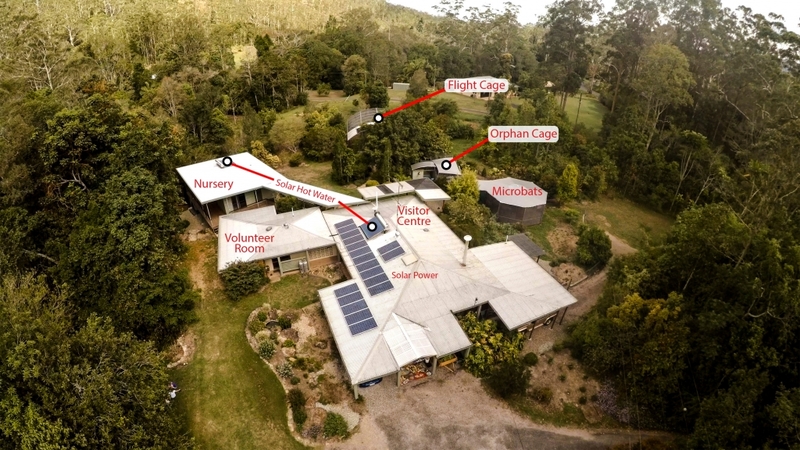 This aerial view of the Bat Hospital was taken in January 2015 by Greg Dunstan while filming for Sunrise television. It was taken at a very dry time of the year. 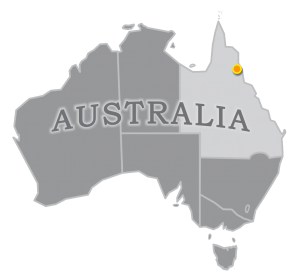 We are located 6 kms outside Atherton, an hour’s drive inland from Cairns. We are at a juncture of 3 different types of forest – rainforest, wet sclerophyll and open eucalypt – and so enjoy a wide diversity of flora and fauna species.